Day 1 is in the books. Rio is 7 hours ahead. 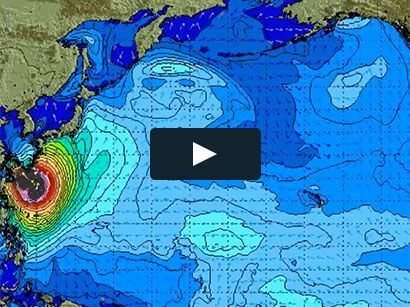 Surf News Network, 12 May, 2015. Barra da Tijuca – Round 1 of the Oi Rio Pro has been called on this morning in solid four-to-six foot (1.5 – 2 metre) surf at the primary site of Barra da Tijuca. Event No. 4 on the 2015 Samsung Galaxy WSL Championship Tour, the Oi Rio Pro recommences this season’s hunt for the world title with Brazilian Adriano de Souza sitting atop the Jeep Leader Board. Men’s Round 1 commences at 7:15am with Women’s Round 1 on standby for a possible start later today. Gabriel Medina (BRA) – Reigning World Champion Medina takes a good Round 1 heat win defeating Fred Patacchia (HAW) and Alejo Muniz (BRA). Medina advances straight to Round 3 and is popular in front of his home crowd. Adriano de Souza (BRA): Current number 1 on the rankings and wearing the Jeep leader yellow jersey, De Souza was in fantastic form scoring a 9.77 barrel ride to take a high scoring heat win over Kai Otten (AUS) – De Souza advances to Round 3. Sebastien Zietz (HAW): Wins his Round 1 heat defeating Jordy Smith (ZAF) and fellow Hawaiian Keanu Asing. Zietz was the only Hawaiian to win today and advance to Round 3, while Florence, Patacchia and Asing go to cut throat Round 2. Matt Banting (AUS): Lead the Australian charge late in the day – the rookie Australian defeated Brazilian Miguel Pupo and fellow Australian Julian Wilson in late day tricky conditions. Banting through to Round 3 with Bede Durbidge who also won his heat in the early afternoon. Matt Wilkinson (AUS): Was the third Australian to win through in a surprising day. The more fancied Australians in Mick Fanning, Joel Parkinson, Owen Wright, Josh Kerr and Julian Wilson all go to Round 2. Women’s Round 1 Heats were called on during the afternoon and highlight women’s VNR’s will be added.